It is time for another LIVE video of a quick and easy craft idea. I am teaming up with 30 Minute Crafts again to bring y’all a super simple craft idea. This time we are crafting with washi tape. It is seriously the quick crafter’s best friend. Watch the LIVE video below as we stream live or later if you miss it. 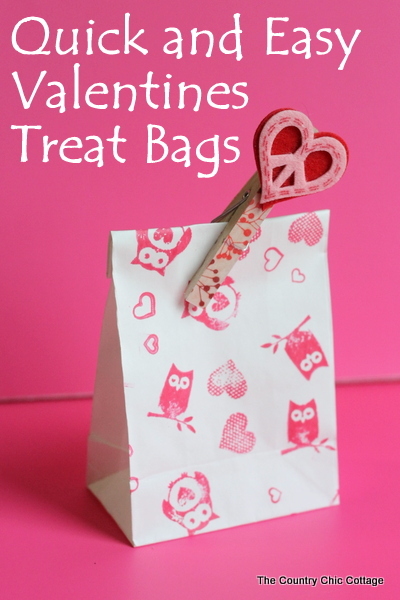 Also follow along on Crafty Hangouts if you would like to see even more Valentine’s Day ideas via video this week. Don’t like videos? I have also pulled together some basic text instructions for y’all. This one is so simple anyone can make them! 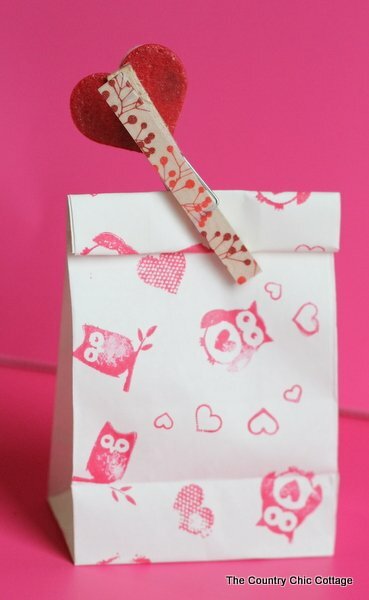 Use a stamp and ink to stamp the front and back of a white paper bag. I use a bunch of small stamps put together on an acrylic block to make this step fast. Cover your clothespin on front and back with washi tape. Use a craft knife to remove excess around the edges. 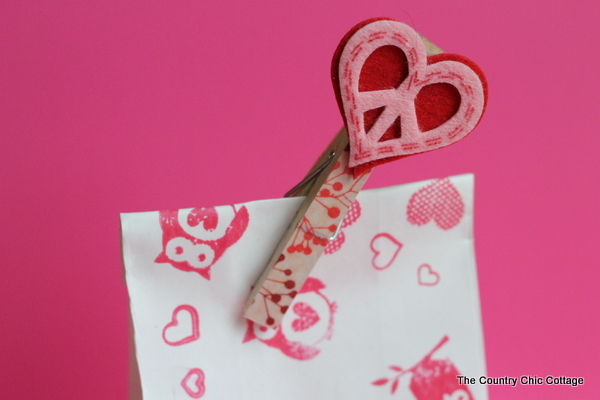 Add a felt sticker to your clothespin if desired. This is also a perfect one for the kids to help with. I hope y’all enjoyed this project and the video. Carolina and I will also be LIVE on Friday night doing a Valentine’s Day craft with duct tape!